CBC Resourcing Solutions, the UK recruitment agency for the finance industry, has relocated to Altrincham, the town where the business started more than 25 years ago. The business, led Graeme Chisholm and Miles Clarke, is moving from its current offices in Cheadle. 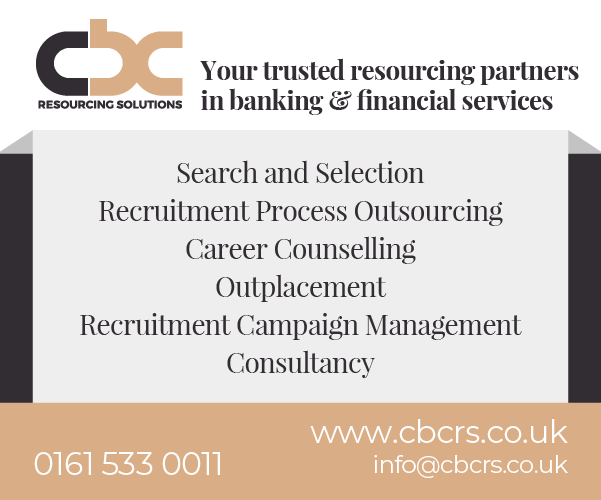 CBC Resourcing Solutions began life primarily sourcing sales staff for bank-owned finance companies, but has since transformed into recruiting executives for some of the most senior roles in the finance industry, with many business leaders having partnered with CBCRS throughout their careers. The company focuses on the asset finance, motor finance and invoice finance sectors, sourcing roles ranging from sales and marketing through to credit, risk, operations and executive leadership. For contact details visit the company’s website.